In the canon of global brands, Harley-Davidson has a unique place. Its rebellious authenticity has made it a cultural icon all around the world. For loyal fans it’s not a motorcycle, it’s a way of life. The year 2017 offered the brand a unique opportunity: it was Harley-Davidson’s 100th anniversary in Canada. The desire to celebrate this historic milestone coincided with a very forward-looking business need: to ensure the future by attracting younger, more diverse riders to the brand. Recently, growth has been challenged by the misperception that only one kind of rider – white, fifty-plus and male – chooses a Harley-Davidson. In addition to expanding the appeal of the brand, a second objective was to develop a program with the depth and breadth of content needed to retain the attention of potential buyers through a highly involved purchase decision, with the right combination of information, inspiration and ongoing engagement. Of course, 2017 was also Canada’s 150th anniversary, an occasion the brand also wanted to honour. With a goal of attracting a younger and ethnically broader rider base, there was a natural alignment to the ongoing cultural conversation about the diversity that defines our nation. This was the starting point for strategic exploration. Diversity naturally highlights differences – in opinions, interests and values – and things usually go one of two ways. Differences either divide people, or they create openness and acceptance. Thankfully, in Canada, it’s the latter. That’s also the experience within the world of Harley-Davidson. Contrary to perception, the brand has riders of all ages, and from cultures across the planet, who share an identity that transcends local geography or background. 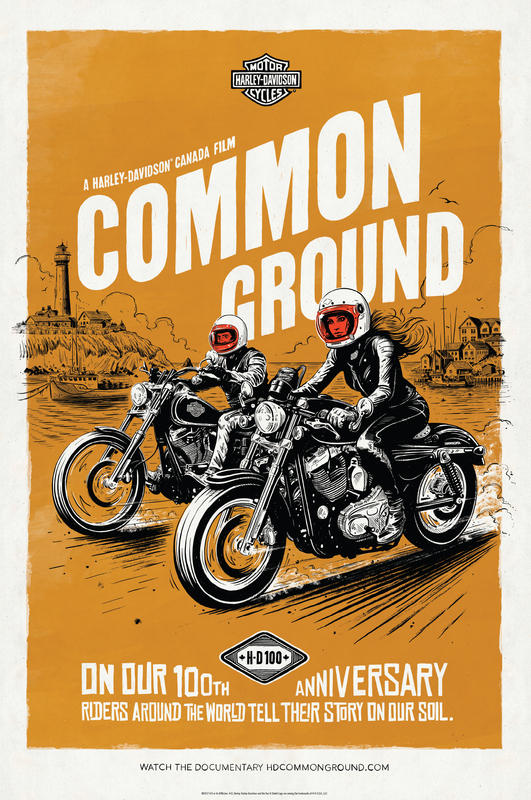 Harley-Davidson and agency Zulu Alpha Kilo saw an opportunity to connect the values of an open-minded country to those of a brand that has always stood for fueling the discoveries that come from experiencing new places. The labels and identities that might separate us fall away when we’re open enough to experience new things together. The most open-minded country in the world is a place where anyone who wants to find common ground will encounter it, and the team set about making that happen. 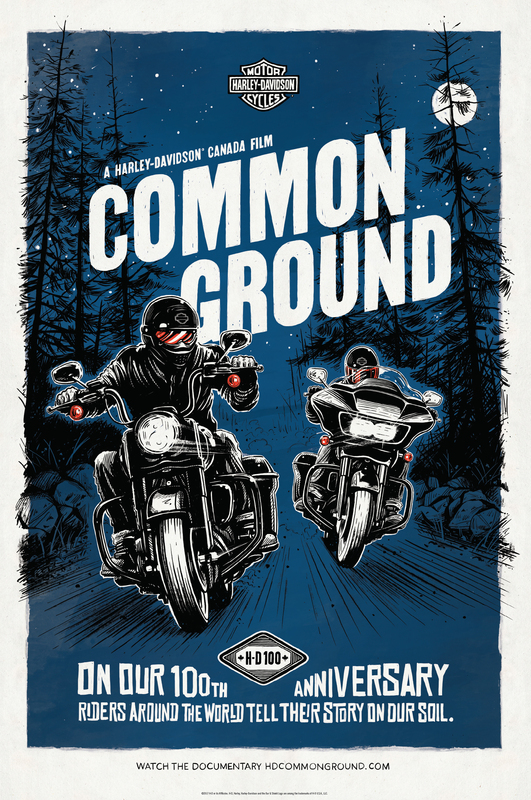 To acknowledge both Canada and Harley-Davidson’s milestone anniversaries, this campaign brought the world - as represented by Harley-Davidson riders - to Canada. 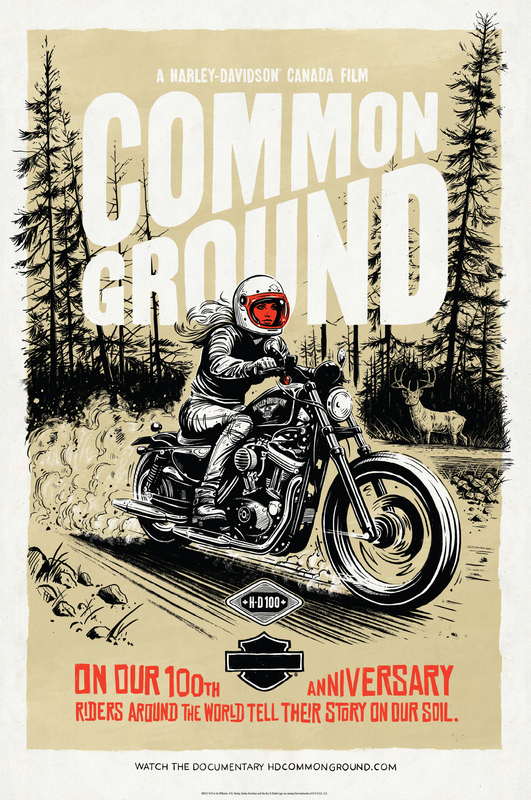 The idea came to life under the name Common Ground, and it connected Canada’s reputation as a welcoming place to the equally welcoming global community all Harley riders belongs to. Working with owners groups around the world, a program was developed for young international riders to pair up with Canadian hosts for a view of the country that could only be seen from a Harley. Harley-Davidson Canada created the first-ever foreign exchange for bikers. 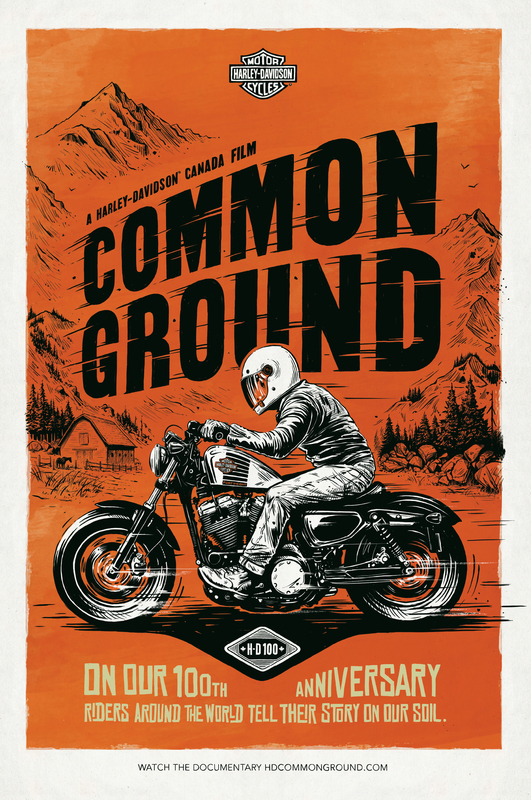 Common Ground was a rich storytelling opportunity, and the campaign that it sparked created an incredible depth and breadth of content programs and proprietary platforms. It began with a 12-part online series that paired riders from New Zealand, Mexico and India with riders from Nova Scotia, Quebec and Alberta. A documentary film crew followed them as they ventured on unique six-day journeys across Canada, visiting communities, meeting people and exploring diverse landscapes. Starting as strangers, they forged bonds through the common ground that connects them: riding on the open road. 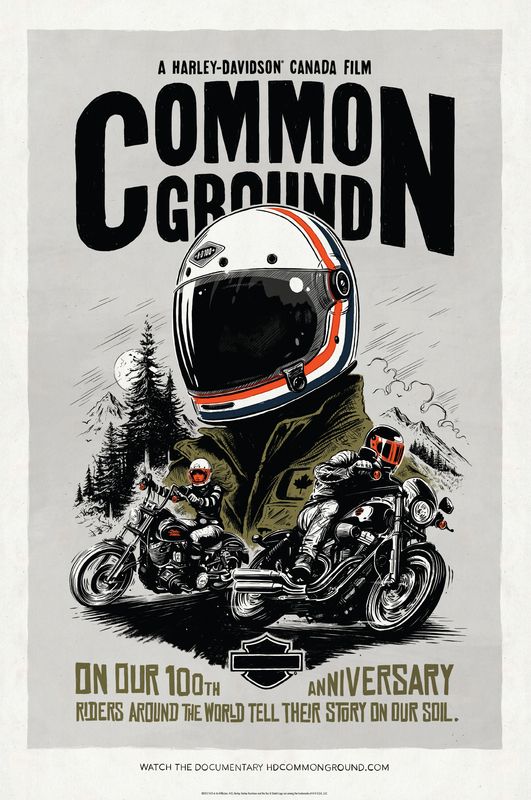 To reach to the next generations of riders, the campaign presented a century-old brand in a decidedly contemporary environment, through short and long-form content tailor-made for YouTube, Facebook, Instagram and the Harley-Davidson website. Instream social videos along with Instagram Story promotions and wild postings in urban centers drove the social campaign’s awareness. Harley dealership’s collateral and point-of-purchase featured the Common Ground story, and CRM initiatives nurtured leads to retarget active followers. one-hour primetime show that drew over 475,000 viewers. The campaign achieved over 47MM impressions (surpassing the goal by 235%), over 8.7MM views (surpassing the goal by 218%) and over 415,000 engagements. AdWeek held up Common Ground at its Arc Awards recognizing the Best Brand Storytelling of 2017. Market share rose by 1.9% against the nearest competitor, despite an overall industry decline of 3.8%.